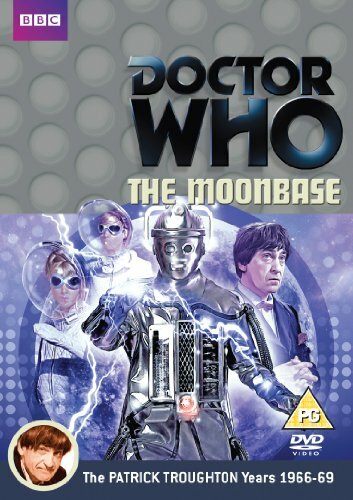 With its two missing episodes reconstructed in animated form, ‘The Moonbase’ is currently the earliest ‘complete’ Patrick Troughton serial to be released. While it does feature some rather unfortunate and improbable plot contrivances, it also features incredible tension and firmly cements the Cybermen’s place as a viable recurring foe. With producer Innes Lloyd’s desire to shift the focus of Doctor Who more towards science fiction, monsters, and tense action, the Cybermen were a logical choice to make a return despite so recently having been in ‘The Tenth Planet.’ With the Daleks out of commission as Terry Nation tried to sell them overseas, there was a sudden impetus on creating memorable alien threats for the Doctor to face. With a sleek redesign and more straightforward motivation that didn’t rely so heavily on a convoluted backstory, the Cybermen of ‘The Moonbase’ are most certainly much more in line with the versions that would succeed them in future eras and are certainly dangerous enough to warrant their prominent recurrence in the Second Doctor era. As the TARDIS misses Mars and lands on the Moon instead, the Doctor’s companions are thrilled to have a chance to explore. Even with a manned base nearby, the Doctor gives in to their elation, ominously underlining it with a sentiment that danger is sure to follow them if they stay too long. ‘The Moonbase’ is perhaps the most egregious example of shoehorning Jamie into a script, the writers still not having had time to adjust to the addition to the TARDIS crew. So, after knocking himself unconscious after hitting a wall while jumping in the lighter gravity of the Moon, Jamie spends most of this story only semi-conscious in the hospital ward of the lightly-defended base while the rest of the heroes explore. They soon discover that the base is a scientific station housing the Gravitron, an immense machine that can control the weather patterns of Earth and which humanity is completely dependent upon in this time. Fascinatingly, once the Gravitron starts succumbing to the Cybermen’s sabotage, the base’s leader Hobson is forbidden from turning off the machine for fear of what the machine’s total absence would do to the weather on Earth. The sabotage issue is particularly worsened by the fact that the base is staffed by scientists and nobody with any fighting or strategic experience. In fact, Hobson’s reason and calm demeanour make him a rather unique authoritative character in Doctor Who; even in the face of such overwhelming conflict and the presence of strangers, he only occasionally saying somewhat commanding statement and simply asking the Doctor and his companions to get off the Moon despite thinking they may be linked to the mysterious illness plaguing the base. Fortunately, the script continually moves at a brisk pace and prevents these moments of near indecisiveness from becoming focal points. ‘The Moonbase’ is perhaps most important for showcasing the darker and more serious side of the Second Doctor that Troughton started exploring more in the latter half of the preceding serial. After a wonderful scene in which he realizes that the Cybermen have been hiding in plain sight, he definitively states that he has an obligation to stand up to the forces of evil he encounters on his travels. This is a sentiment that slowly came more to the foreground during the Hartnell era, but hearing Troughton so blatantly say that it is his duty is dramatic shift for the character and the programme as a whole. Of course, this Doctor is a schemer, meaning that he will continue to observe from the background while getting others to underestimate him and waiting for the perfect moment to strike. As a result, Ben and Polly are quite prominently featured in ‘The Moonbase,’ and Michael Craze and Anneke Wills both deliver very strong performances. Although ‘The Moonbase’ is not a perfect serial and sadly sidelines Jamie almost completely, it is undoubtedly a very important one in the history of Doctor Who. It redesigns the Cybermen and poses them as a significant recurring threat, it implements the base under siege format to perfection, and it showcases Troughton’s continuing refinement of his new incarnation. As such, it is a prime example of the programme once more finding its footing with its new intended format goal.